Booths are limited and offered on a first-come-first-serve basis. Please Download the PDF Exhibitor Packet below for pricing and details. Setup on Tuesday, June 11 after lunch until 5:30 p.m. Setup on Wednesday, June 12, after 7:00 a.m.
Breakdown on Thursday, June 13, after 2:00 p.m.
Booth materials will be placed in Room 1103 for pickup when you arrive for setup. The conference is on Wednesday, June 12 and Thursday, June 13. Building hours are: 7:00 a.m. to 5:00 p.m.
You may setup on Tuesday, June 11 after 1:00 p.m. The exhibitor booth setup crew will try to finish by noon. All booths will have access to electricity, wifi and/or wired internet. All booths come with 1 - 6ft table and 2 chairs. All table spots come with a table with 2 chairs located some where on the main floor. All exhibitors are invited to enjoy snacks, lunch and refreshments with the attendees throughout the conference and attend the evening events. YOU ARE RESPONSIBLE FOR THE RETURN SHIPMENT OF ALL OF YOUR BOOTH MATERIALS which may be placed in room 1103 for your shipping company to pick up. Pickup hours are Thursday, June 13 before 4:30 p.m. or on Friday, June 14 between 8:30 a.m. to 11:30 a.m. The following week regular business hours are from 8:30 a.m. to 2:00 p.m.
We appreciate your support and look forward to seeing you. Most of you have been here before so you know the drill. 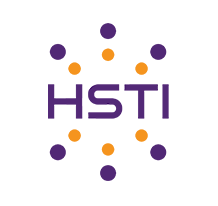 Those of you that are new to HSTI should know that we will be sure to take great care of you. Contact hstievent@gmail.com for more information.